Posted on December 21, 2016 by Tom Richardson Posted in Cell phone & Computer Monitoring Reviews . SpyStealth and all those who created it promise stability, quality and numerous options working better in comparison with other spy apps. The app was created in the UK and it’s slowly gaining popularity all over the world protecting kids of caring parents and employers from indecent employees. Messages (available for all operating systems) – all types of text messages can be accessed even if they’ve already been deleted. Check your kids’ messages to protect them from sexting and bullying. E-mails (available for android and iOS) – all e-mail activities will be logged for you to track them. Social Networks (You’ll be able to track Facebook and WhatsApp on iOS and rooted Androids. Twitter tracking is also available only on Androids). Incoming and outcoming calls history – this option working with all operating systems will allow you to spy on the logs and duration of every single call made from the target device. Messengers tracking – Viber, Hangouts, WhatsApp, Kakaotalk and other messengers are finally available for tracking! iMessages – tracking of one of the most popular iOS messengers. Tracking contacts (Available for all operating systems). Allows you to remotely track all of the contacts from the target device using your personal account. Once you buy SpyStealth, you should know that you’ll be constantly supported after the purchase. If you’ve got any questions you can contact tech support via e-mail, live chat or telephone on the official site of the app. Besides, each of the customers gets free updates if the app to simplify the spying process. Prices may vary, but you should remember, that stable and sensible software cannot be cheap if you’re seeking for stability. The prices range from $7.50 a month to $ 89.95 for a year. Everything depends on your financial possibilities and period of time you need. Of course, there’s a number of extra options that need to be paid for. 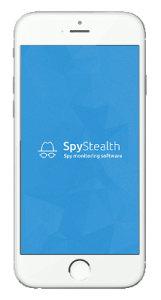 SpyStealth perfectly works with a number of modern devices on iOS and Android OS. Operating system version is also one of the most important factors (test your OS on the official resource of SpyStealth to get more info on the compatibility). iOS devices should normally be jailbroken for tracking. If you’re an owner of an Android device, remember, that you’ll have to root your device to get extra options. Pay attention that SpyStealth has no option of remote installation. The app needs direct contact with the target device to be installed. If you’re not willing to do the jailbreak on your iOS device, you’ll be able to track only unstable iCloud contacts and media. You’ve got personal reasons not listed on the services. Refunds are given within 2 or 3 working days after the approval. Doesn’t work with some of the mobile operating systems, which should be specified before you get the app. It’s stable, but some of the options are still in the process of development. 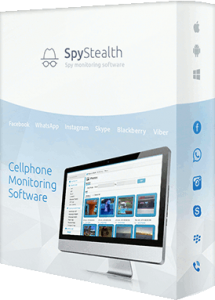 Be sure to contact our operators to make sure that SpyStealth is compatible with your device. Quite a stable option for those willing to get up-to-date info through their personalized panel out of a target device. Be ready to contact our operators to specify the additional options and pricing to get rid of possible troubles in the future – we don’t want to spend your money for nothing.